The Very Best Burger Truck visited the Detroit area for the Brews, BBQ & Bourbon festival in Ferndale, MI, to serve a delicious Pretzel Pub Burger to the hungry attendees there. My favorite Burger from my childhood was a Rodeo Burger. It had onion rings and BBQ sauce. The last Burger that I ate was a turkey Burger that my mom grilled. It was a melt in your mouth turner Burger drenched in my homemade BBQ sauce with bacon, green onions, and sharp cheddar. I definitely want to try a double grilled chicken breast Burger with all of my favorite toppings. If I could share a Burger with anyone dead or alive, it would be Rachel Ray. I grew up watching her show, 30 Minute Meals. She was so excited and still is always so lively and bubbly. I still have a desire to the greats such as Rachel, Bobby Flay, Martha Stewart, and many more. McDonald’s Happy Meal Cheeseburger with a Sprite. Your Burger!!! With beer cheese and grilled onions. AND IT WAS AWESOME. Tastee’s Burger. 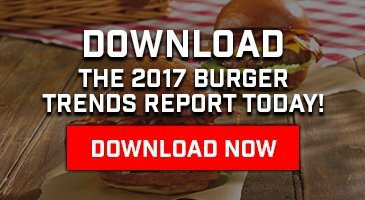 They won Best Burger in Detroit last year! Anthony Bourdain because he’s the man and we could curse over how good the Burger we were eating was.